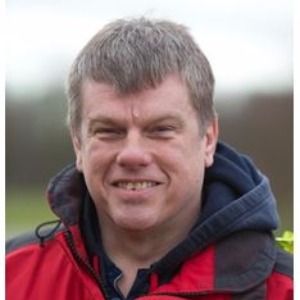 Dave is currently head coach at Hillingdon Slipstreamers, and a member of the coaching team at Prime Coaching. Dave is a Level 3 Road and Time Trial Coach, and a Level 2 track coach. Dave is a National Standard Instructor, first aid qualified including first aid in remote areas. He also attends workshops covering sports psychology, engaging women in sport and child protection. My involvement with cycle coaching is to ensure that all who work with me have the opportunity to take part, enjoy and develop to the best of their ability. Where a rider gains enjoyment from winning in sport, I shall assist them in any way that I am empowered to do so. Where a rider’s goals are to improve to a certain level, my level of commitment to the rider shall be of the same standard as those looking to win. I aim to progress my coaching skills in the same way that I expect riders to progress. I encourage, support and develop all that I work with, without prejudice, as long as the coach/rider relationship is maintained within acceptable and pre-agreed parameters. The honest and open commitment that I offer to riders requires a honest and open level of feedback in return. My coaching is structured and progressive to meet realistic time phased goals. I require a honest and open approach to the execution, recording and participation from the rider. I ensure that I am never too busy to be unapproachable. Immediate responses sometimes may be impossible but I shall always be mindful of good communications, keeping appointments and providing updates within acceptable boundaries. I encourage independence and confidence. I encourage riders to become enthusiastic about opportunities to progress. I encourage riders to challenge decisions to help eradicate doubt where possible. I aim to promote sport. I continue to improve my own coaching skills. Success. Coach Dave George has been notified of your message.